4 Bedroom Semi Detached House For Sale in Orpington for Guide Price £750,000. This property's price has dropped from £800,000 to Guide Price £750,000. Four bedroom property set within 1 1/2 acres including stables. 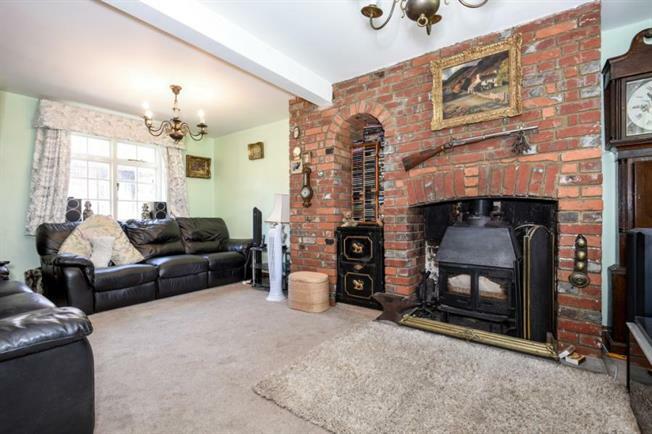 We are delighted to offer for sale this very attractive and unique four bedroom brick built and shiplap timber semi-detached character property located in a semi-rural position in Chelsfield. The property sits within a large plot with a large 20ft wide outbuilding as well as three stables and brick built granary (once used as the local bakery for the old village). Accommodation internally includes a spacious reception room, kitchen/dining room, three bedrooms and a bathroom to the first floor plus a further bedroom on the second, with attractive views to rear.